While mitigation efforts aim to reduce the causes of climate change (e.g., by addressing deforestation and advancing renewable energy), adaptation efforts attempt to address the impacts of climate change, such as droughts, floods, sea level rise, and intensified natural disasters, on people, structures and ecosystems. As climate continues to rapidly change in unprecedented ways, adaptation response is becoming increasingly critical, and identifying strategies are especially important for those living in areas susceptible to climate change impacts (e.g., those living in low-lying coastal areas) and for vulnerable groups, including women and poor populations, who often lack access to adaptive capacity measures. 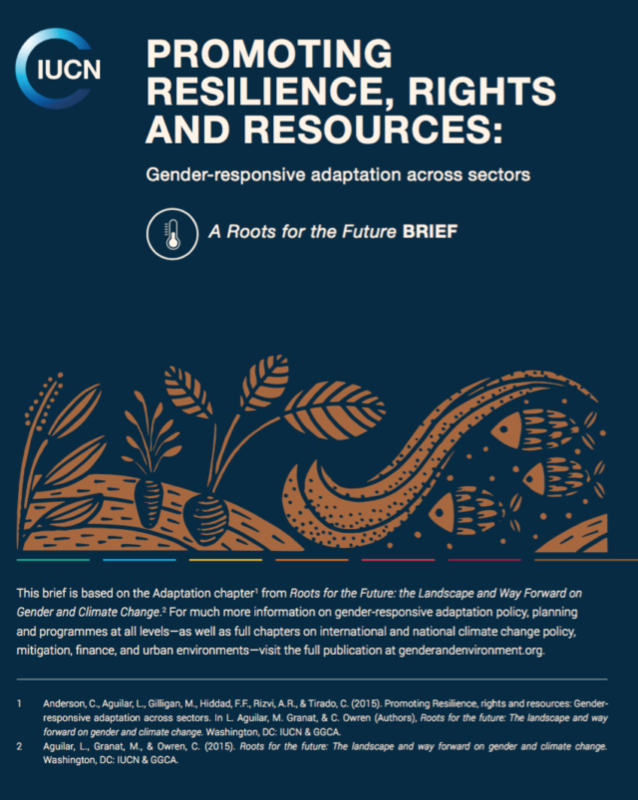 At the same time, adaptation interventions risk being less effective or efficient, or even exacerbating inequalities and inequities, when gender concerns and women’s unique needs and capacities are left out.